In a perfect world, we could just take all the best PGA golfers or all our favorites each and every tournament. Unfortunately, when you are playing weekly fantasy golf with salary cap rules we need to look for value picks to create a winning roster. 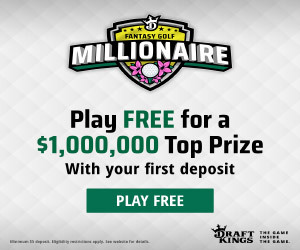 It is one of the most difficult skills to learn and takes some quality research time to correctly identify mis-priced or value picks in salary cap fantasy golf. A "value" pick is someone who has great potential in the salary tier they have been priced at. In other words, they probably deserve to be priced higher either because of recent form or past history or any number of reasons. You are going to see this tip a lot in fantasy golf strategy articles, always check course history. Some golf courses are built for certain types of players whether it be a long bomber like Dustin Johnson or an accurate ball striker like a Matt Kuchar. A player you have never heard of can all of a sudden be a top 10 player just because he meshes well with the course. Look for unpopular names who have consistent Top 25 finishes at that course for the week. Although golfers commit to a tournament, they sometimes back out on the Monday or Tuesday prior for a variety of reasons. Take a peek and see which PGA Tour alternate gets added to the field. He may have a good history at that golf course (see above), and you can guarantee he will be very low-priced and under owned. It's a risky play but if it pays off, it could equal a huge payday for you. It is no secret weather can wreak havoc during a golf tournament and make an attractive play all of sudden untouchable. On the flip side a player on the right side of weather timing can become a must play. Think of the British Open as an example, the weather can be so treacherous in the morning and then suddenly flip to nice conditions in the afternoon. 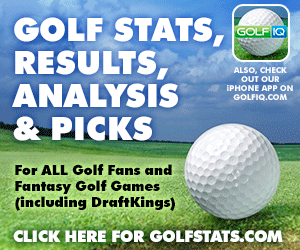 So you would want to fade all morning tee times and draft a roster of afternoon players. Always check what time the weather is expected to hit and then who has the better tee times because of it. The sharps in Vegas know their stuff! Each tournament has the odds of which golfer is likely to win the tournament. Check those odds and see if a player has high odds that just doesn't quite correlate to their DFS salary. If a player is 30 to 1 to win the tournament yet he is priced $7000 or lower that's a good guy to take a shot on. Vegas tends to know a little more then the salary setters at various fantasy sites. A lot of times a golfer may sit out a tournament or two due to a minor injury like a sore wrist or tweaked muscle. Here's were you may be able to get them at a reduced priced because they have no recent form to be judged on. If any top player has been out for a while I may take a chance on him because people will be scared to take him until they see if his game is up to par so to speak. You got to take chances to win and this is a strategy to do just that.